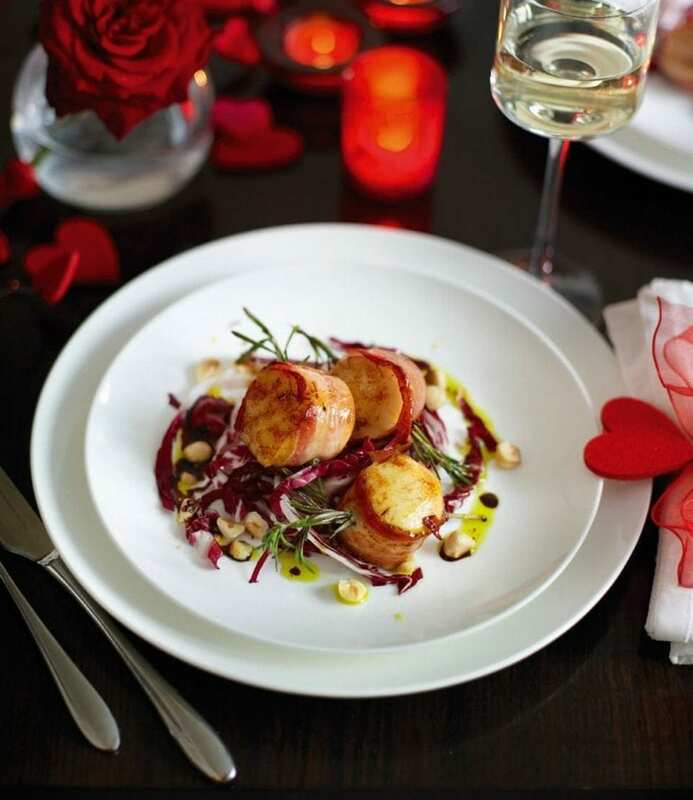 Seared scallops make a sensuous starter and is a perfect beginning to a romantic meal for two. Why wait for Valentine’s Day? Melt the butter in a large frying pan over a high heat. Add the scallops and cook for 2 minutes each side until golden and the pancetta is crisp and cooked. In a bowl, toss the radicchio with the oil, vinegar, hazelnuts and some seasoning. Spoon onto 2 serving plates, top with the scallops and spoon over any pan juices.